The Prospero family is now in their third week of the challenge and the days have taken on a routine of working, collecting and gardening. There is not much that can spoil their days at this point. Rosabelle wakes up hungry and eats yogurt for breakfast in the new chair. Pawel wakes up stinky, he definitely needs a shower! He is wafting BO behind him. 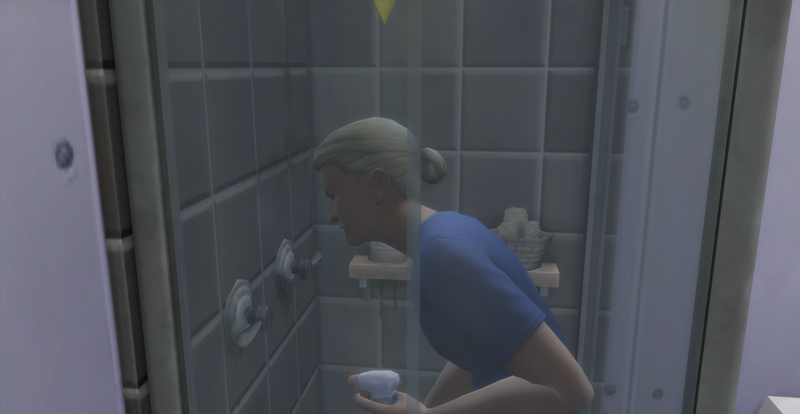 Pawel showers while Rosabelle cleans the nasty toilet. Rosabelle and Pawel leave for work and return home later in the day. 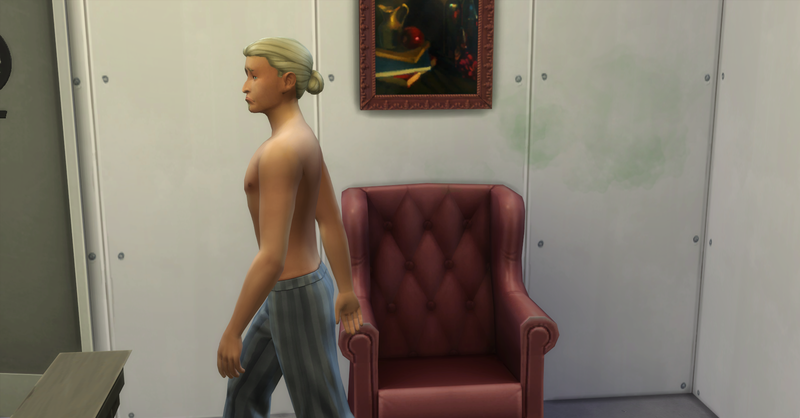 The weekly bills are delivered while the are at work, they owe §242 simoleons. Rosabelle returns from for with §352 simoleon and she did great work today too! Their funds are now §10,098. However she is feeling tense from working so hard. She plays Incredible Sports on the computer to relax. But after a few minutes the computer breaks! This is a serious problem for the family, Rosabelle has no handiness skills and even though Pawel has 1 handiness point, she doesn’t want to risk loosing him to electrocution before they have even really started living their life together. The computer will cost §508 simoleons to replace and while they do have funds available this seems like an awful lot of money to pay for a computer that they got for free. And they were just starting to feel like life was getting easier for them, but NO it had to go and break the computer. At least Pawel just got a free computer from work so they do have one working computer. Rosabelle hurries outside to pay the bills because she needs to discuss with Pawel what to do about the broken computer when he gets home and this way they bill expenses will already be taken care of. 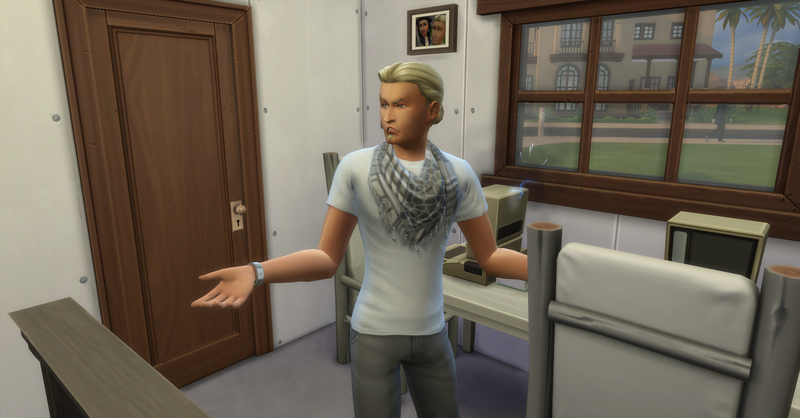 Pawel returns home from work, he made §256 simoleons today, their funds are now §10,112. He is also mad about the computer breaking. Pawel reads for fun and to complete his daily work task while Rosabelle eats some yogurt. The way they choose to sit close to each other is so cute. After they sit on the bed together and Pawel serenades Rosabelle with a beautiful love song. This leads to things getting hot and heavy and they moved the conversation under the covers! When they are finished woohooing, Rosabelle falls asleep satisfied and Pawel goes to use the bathroom. He notices that it is filthy and he knows that Rosabelle has to go to work tomorrow morning and she likes her morning shower. 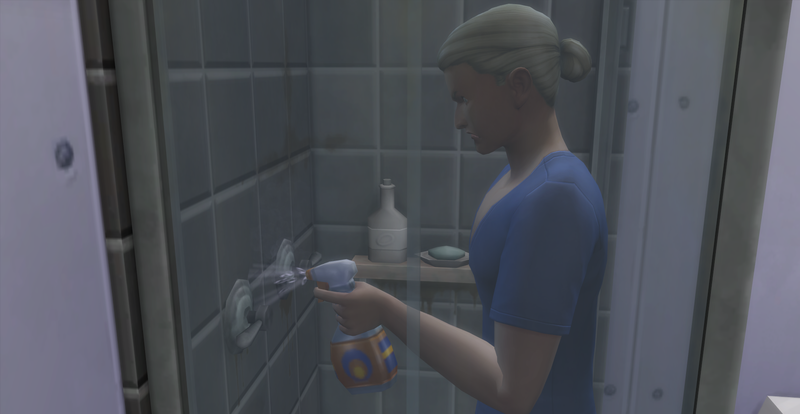 He is tired but he decides to clean the bathroom so she can wake up to a refreshing shower instead of a disgusting one, Pawel has the day off tomorrow so he can sleep in anyway. 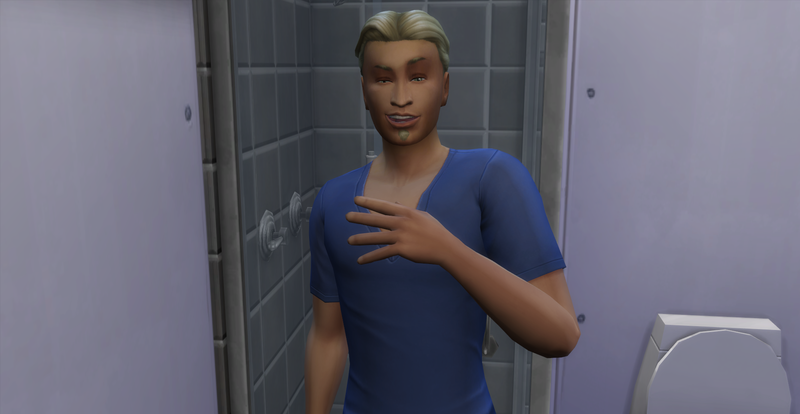 Pawel looks pretty disgusted by the dirty shower, he is a neat sim after all. He gives it a close inspection but it still isn’t clean. Pawel is very proud of his cleaning job. That is some smirk on his face. The sink is also dirty so he gives it a good scrubbing too. After he is finished cleaning he joins Rosabelle in bed. I love your story. 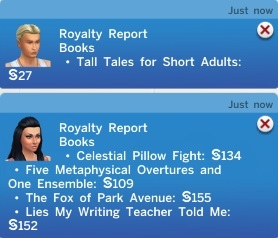 I don’t use cheats either which probably annoy my sims. 🙂 I do have the “pregnancy for all” mod but right now it’s disabled. Thank you so much! I have always been a big builder so not using money cheats to build a giant house is very difficult for me but also very satisfying too! Pawel looked pretty smug about his cleaning. I loved that pic and I love your story. You have motivated me to try out this challenge. I wonder when they will decide to start their little family. Yes he does, he is a neat sim and likes to clean! They will be starting one quite soon, catch up to Day 22 – Eating for Two! I’m so glad this has motivated you to try this challenge, it is is very fun and rewarding. Good Luck!